On our first day in Costa Rica we visited the cooperative Los Campesinos to learn about how they live on and with the land. In a rural environment that took us up and down mountain roads, where some of them seemed as if you would be better off on horseback than in a jeep, we reached this community that lives in a self-sustaining way. They started out as farmers, who wanted to live an authentic and organic way of life, and they realized that they could educate people about sustainability and how to better care for the fragile environment that we have, by opening up the community and the land to receive tourist. There are many reasons to visit Los Campesinos. We walked through the land and learned about herbs and medicinal herbs growing there. We met birds and other small animals living under leaves or climbing up trees. 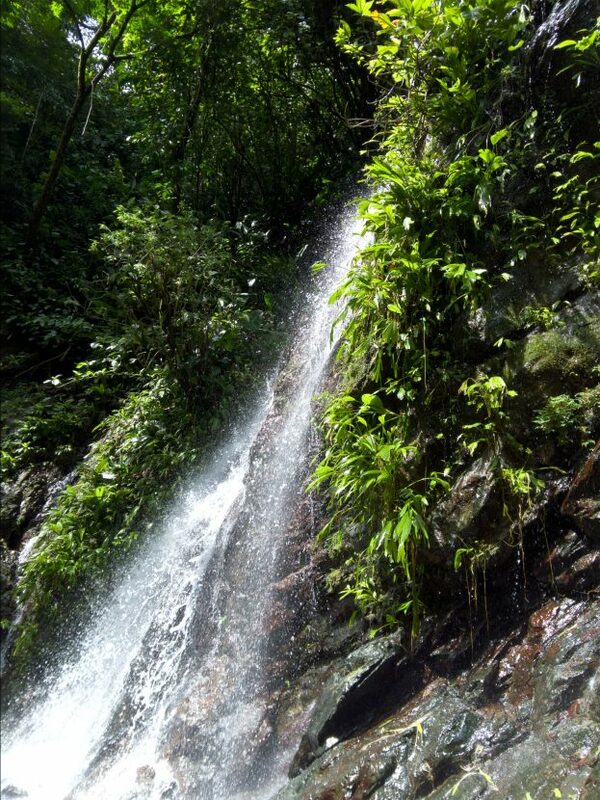 We walked across a hanging bridge to reach a water-fall and swam in its pool. It is a land of lushness and richness, kindness and community. All the farmers that live in the community each focus on growing different crops and they share the food. 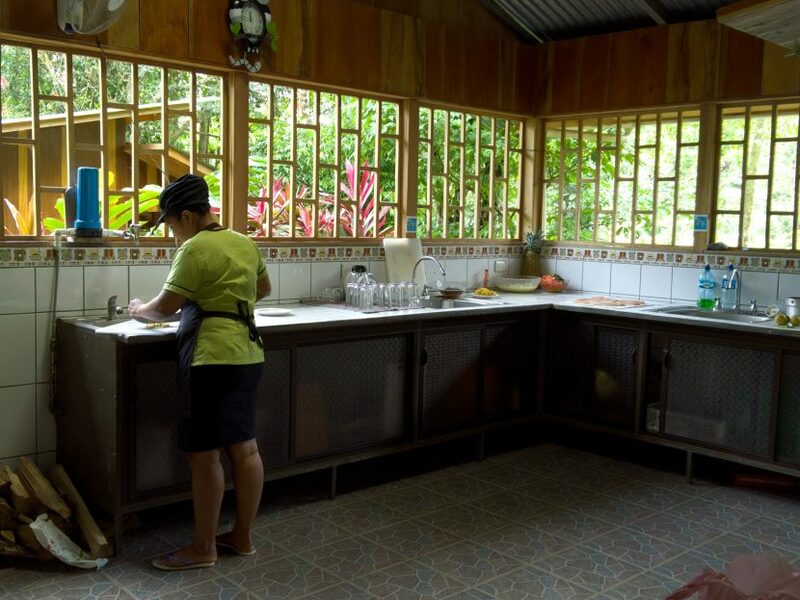 The kitchen that over looks the mountain and the two women cooking there, cook for the community every day as well as the meal they served us. It was delicious. 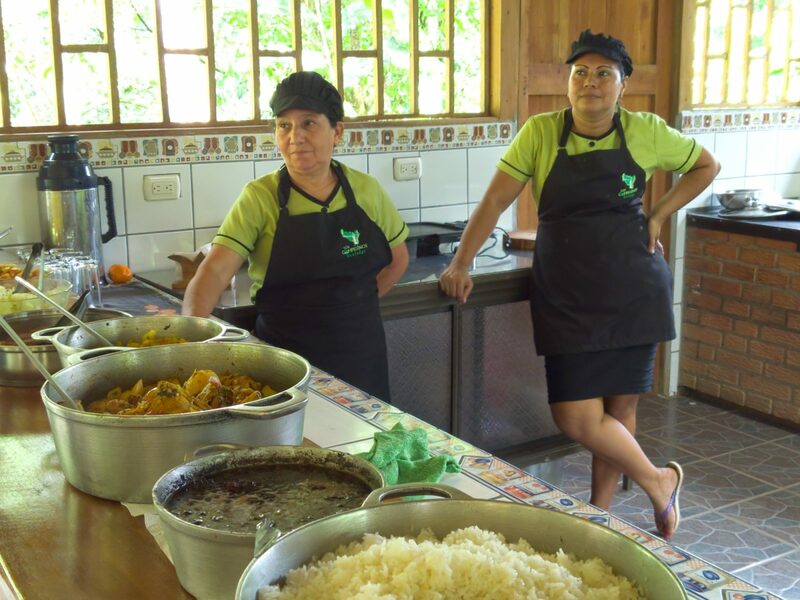 The women told me about the food they cooked, which are traditional Costa Rican dishes and all the ingredients are organic and natural, and from the land. One of them told me how she finds herbs and spices that she uses in the meal to make the food, not only more tasty, but also more healthy and digestible. They made their own lemonade with lemons from the land and just mixed water and a little salt to cut the acidity rather than sugar. I was of course excited to hear how important being healthy was to them. It was amazing to see how important the ingredients are to them and how much their commitment to a sustainable environment and lifestyle matters for their daily choices and way of life. 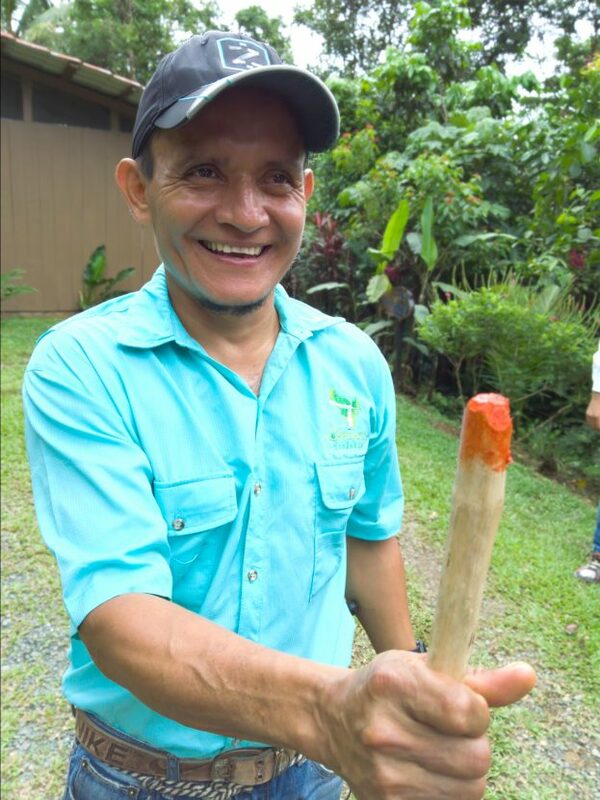 Victor has been on this land for 40 years and has gone through the ups and downs of a fungi destroying the crops and I felt he was a unique “guardian” of this very special place in the middle of the forest with all its indigenous plants.